Frank The Welder. Photo by Bear Cieri. 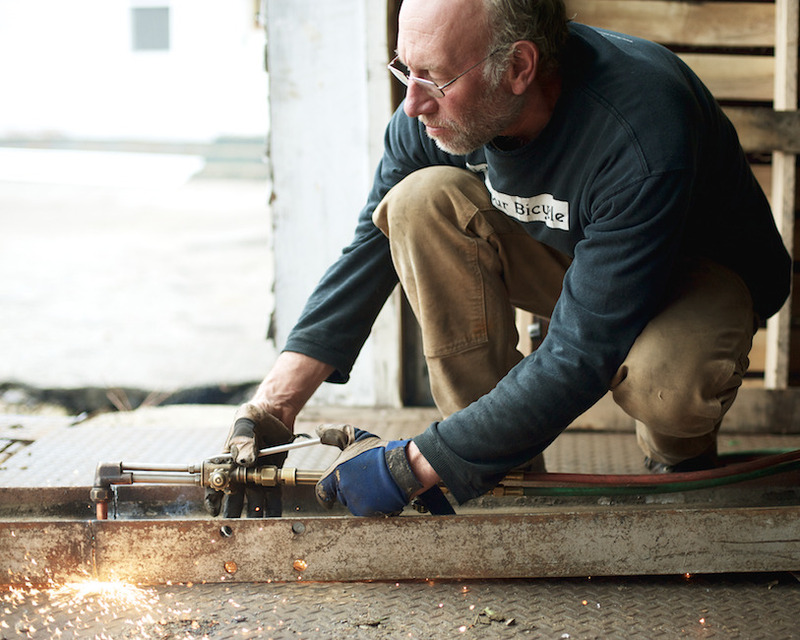 Frank Wadelton, aka Frank The Welder, is a legendary figure in American frame building. He’s worked at Yeti, Spooky, Mongoose, and many others and had a tremendous influence on mountain bike design. These days he builds under his own name, Frank The Welder. This short film from Jake Goss provides a great glimpse into Frank’s life and career history. Follow Your Way – Chile from Iść Swoją Drogą on Vimeo. This short film captures the people, places, and feeling of four months of bike touring through Chile. It’ll get your spirit of adventure going just in time for the weekend! Graeme Obree likely needs no introduction among cyclists who’ve been involved in the sport for any length of time. 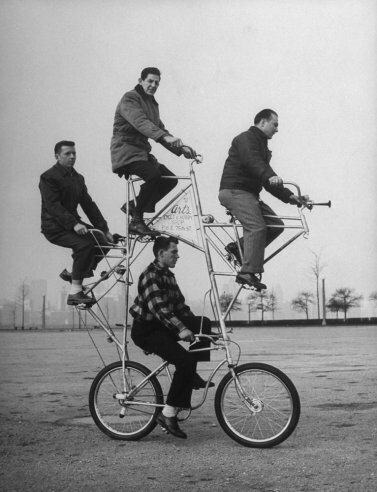 The Scotsman is famous for his world hour records and the unorthodox “superman” position he used on his custom built track bike, Old Faithful. Nearly two decades after beating the UCI hour record, Obree is chasing a new world record, the human powered vehicle land speed record. 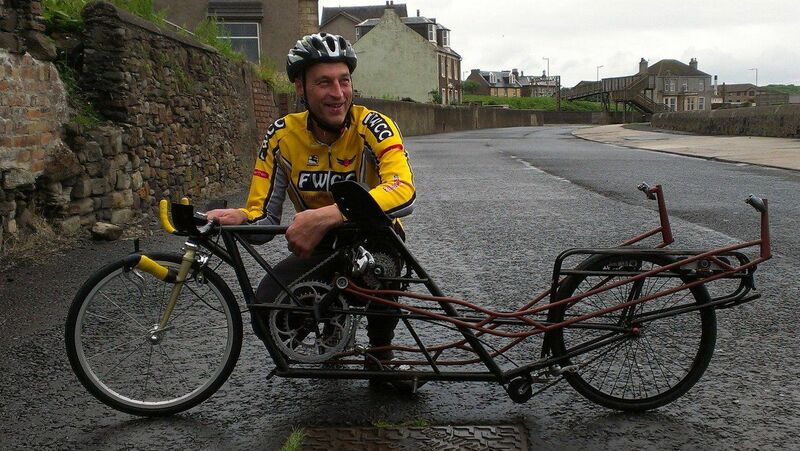 Given that the only rule for the HPV record is that the vehicle must not have an engine, Obree is free to play to his creative strengths and build any wild bike he can dream up. Humans Invent–a British website focused on inventions, design, and innovation–produced a series of video interviews with Obree as he built his bike and prepares for the speed record. They’re well done and provide terrific insight into Obree’s unique way of thinking about bikes, design, passion, and more. Self portrait. Photo courtesy of Emily Maye. Cycling photographer Emily Maye is on the rise. Only a year and a half after shooting her first race photos at the Tour of California, she’s been published in cycling magazines such as Bicycling and Paved and worked for major brands such as Rapha, Bontrager-Livestrong development team, Crankbrothers and more. 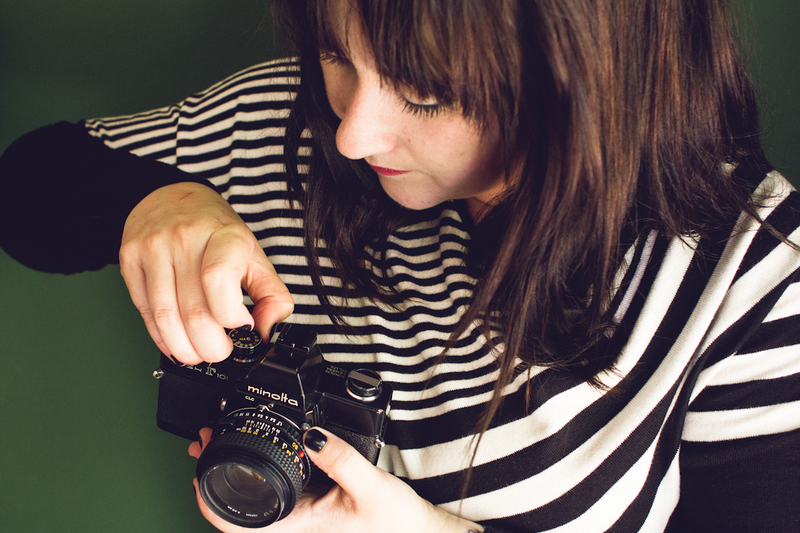 Emily is known for her strengths as a visual storyteller. Rather than only focusing on a race’s major climb or finishing sprint, she turns her lens on the drunken fans, the anxiety-filled race prep, the harrowed mechanics, to try and capture the entire atmosphere of a professional cycling event. In this interview, Emily discuses her background in photography, her attraction to professional cycling, the parallels between ballet and bike racing, her approach to storytelling, and more.